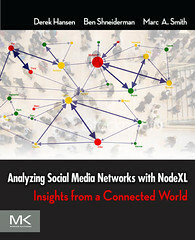 Many of my colleagues and I have applied social network analysis to Internet social media. Email, mail lists, wikis, blogs, newsgroups, web boards, photo sharing systems and social networking services all create “network” structures. In several papers we documented the ways that contributors in discussion groups in Usenet and similar threaded discussion repositories had distinct network patterns that reflected their different roles in the community. We have identified several roles in terms of the ways they link to others and how those others link to one another. Three roles are particularly critical, despite their relatively rare occurrence in most threaded discussion environments. Answer people are the relatively rare people who provide a useful answer to potentially hundreds of question askers; discussion people reply to one another about the topics introduced by the topic starting “reply magnet”. These roles are visible in the details of the patterns of reply and connection within social media repositories. The relative balance of these roles (and others) determines the nature of the social media space: is it a discussion space, a flame zone, a Q&A exchange spot, or a place to swap binary files? The balance of answer people to discussion people is one dimension of variation among social media spaces, for example. Fisher, D., Smith, M., and Welser, H. You Are Who You Talk To, Proceedings of Hawaii International Conference on Software and Systems (HICSS), January 2006. (Best Paper, Digital Media and Communication Program). Finding additional roles is an open area of research. Other roles have been described but now need to be grounded in empricial measures of behavior and connection over time. How many different roles exist? What are the defining qualities of these roles? What balances of roles with one another are necessary for effective collective production of valuable common goods like answers to questions, well written wiki documents, photo archives, social support and other kinds of online assets.